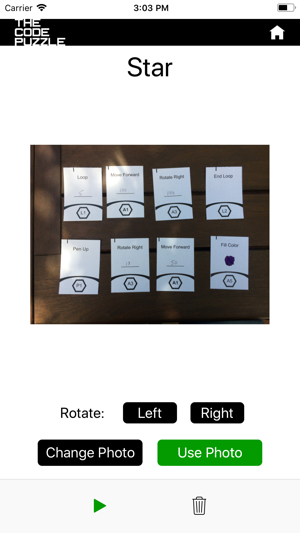 The Code Puzzle iOS app lets you take a photo of The Code Puzzle cards. 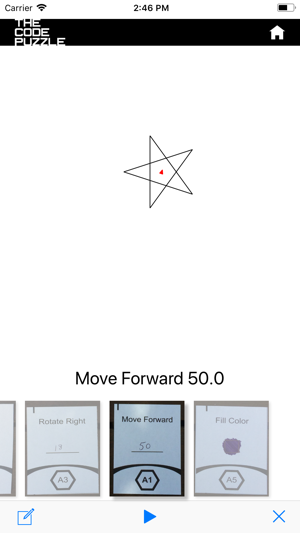 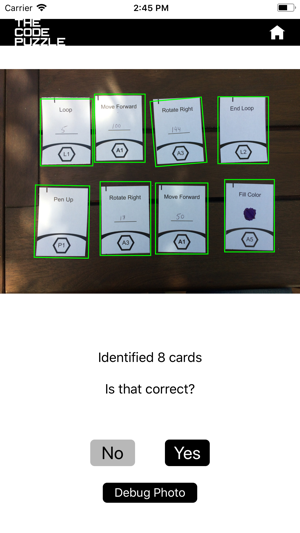 The app uses computer vision to recognize each card and the hand-written parameter you have provided and execute the instructions on the cards (your program), drawing the picture described in the program. 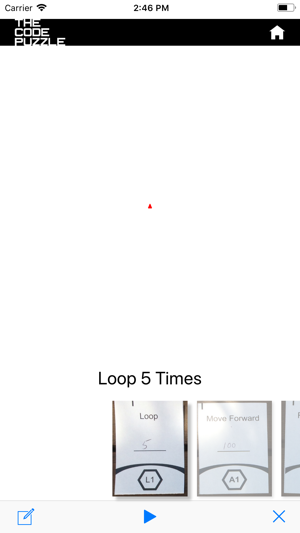 The app allows you to debug your program and edit cards from within the app if needed. 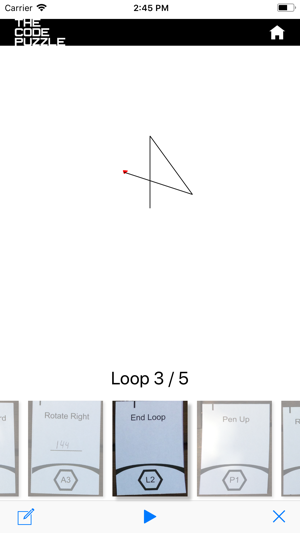 Classroom teachers can create a "class", allowing them to track many projects at once and send each drawing to The Code Puzzle website so that students can view their programs and drawings on a computer via a web browser.